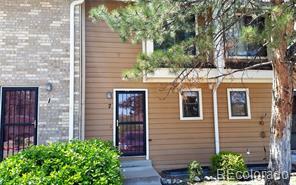 Super updated 3 bedroom, 3 bath open concept town home with new stainless steel range and refrigerator. The kitchen is open to a living/dining room combination with a wood burning fireplace and patio doors. A half bath on main level!! Upstairs has two bedrooms with lots of closet space and an over sized main bathroom with double sinks. Plus the master has vaulted ceilings and a skylight. A bonus finished family/rec room and a conforming 3rd bedroom with its own full bath is in the basement. This unit has a beautiful, rare, open space behind for play, picnics and your enjoyment. From the front are the tennis courts so the unit feels very open and not crowded, like most townhomes. Silver Valley at Bear Creek is a wonderful community with low HOA dues that include clubhouse, a private pool, hot tub, tennis court, water, sewer, snow and trash removal, exterior maintenance. Great area, close to schools and a short walk to Bear Creek trails and public transportation.